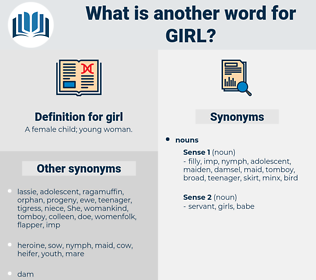 What is another word for girl? 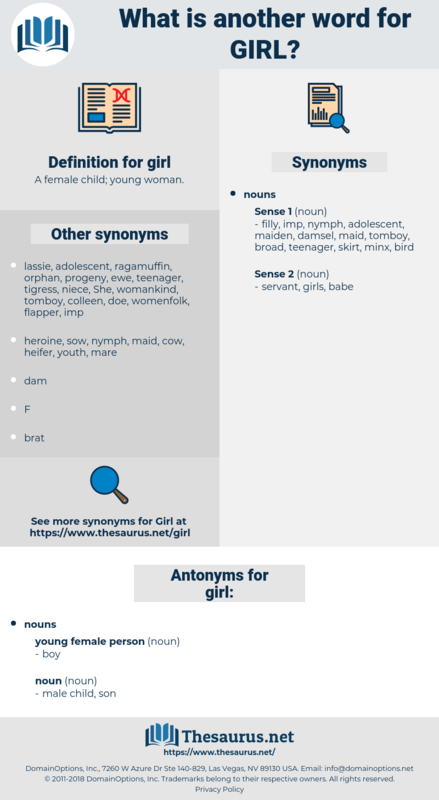 A female child; young woman. Capita, teenager, Las, daugghter, sister, giris, daughter-in-law, grandchild. GIRI, friend, cheerleader, granddaughter, bride. Say, Max, he said, what's the matter with that girl? But - she would like to see that girl.